Description: Darice Foamies are the perfect place to start for any number of craft project. Not only are they fun basic embellishments, kids love them. 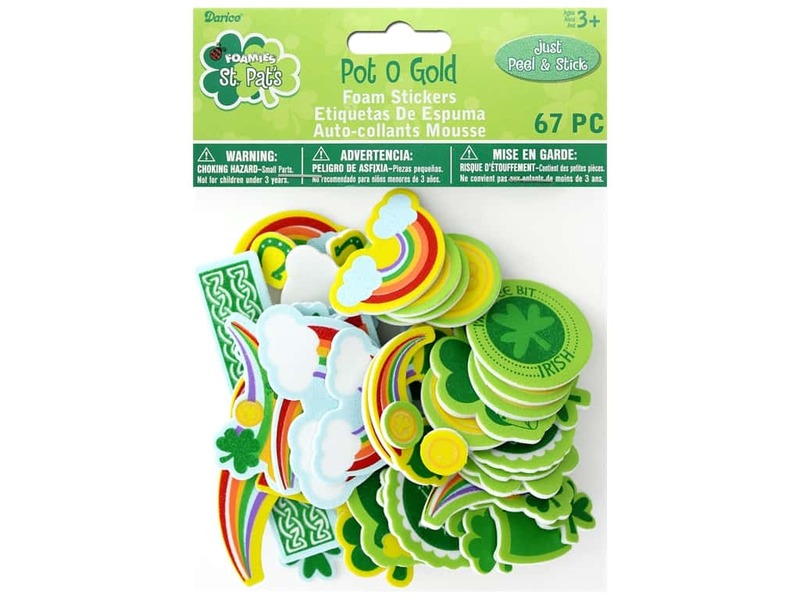 Stickers Pot Of Gold- 67 foam stickers that include: rainbows, pots of gold, Celtic knots, horseshoes, clovers, captions of: happy St Patrick's day, I'm a wee bit Irish, and more. Largest measures approximately 1.63 in. x 1 in.